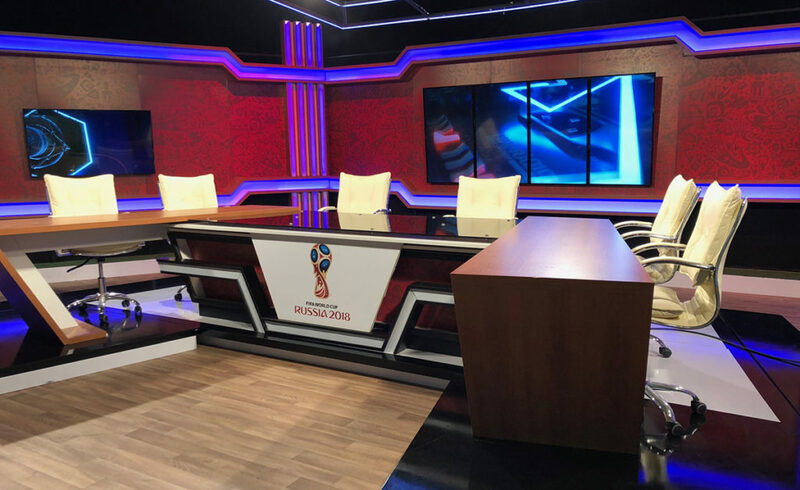 Uruguay’s Monte Carlo TV broadcast its World Cup coverage from a bold set that combined diagonal accents with strong horizontal lines. 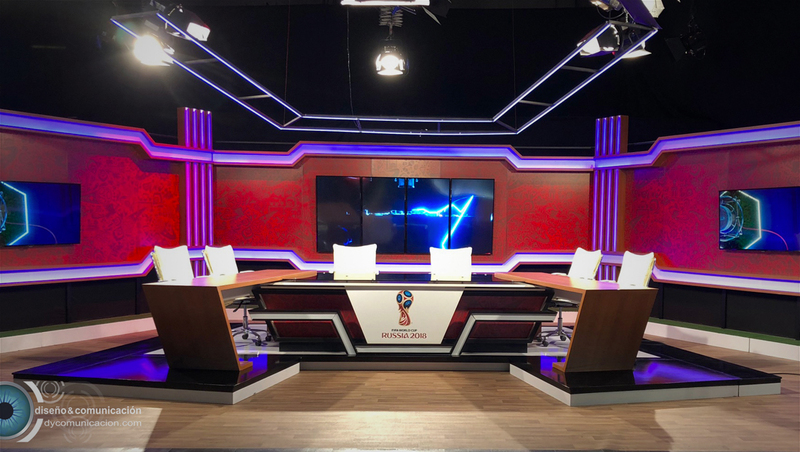 The set, designed by Javier Alvarez’s Diseño Comunicación, features wide, color-changing walls with a pattern design inspired by FIFA’s World Cup branding. Separating these walls are broad, fluted vertical columns, which also boast color-changing technology, as do the horizontal bands that zigzag across the set. These lines, in both the header and at knee-wall height, are mostly parallel to the floor but do have “notches” thanks to short diagonals which, in turn, serve as a sort of frame for video panels — including the vertically mounted array camera center and two landscape screens on either side.